Spend less time training and more time enjoying quality time with your dog. 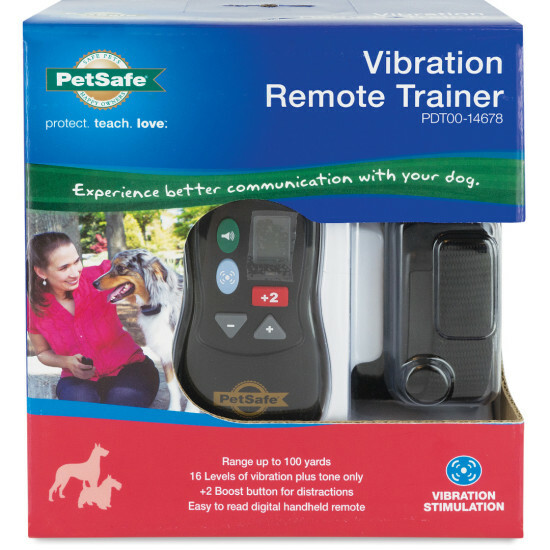 The PetSafe® Vibration Remote Trainer helps you control your dog without a leash from up to 100 yards away. The remote trainer is a safe, effective way to teach better behavior or basic obedience commands. 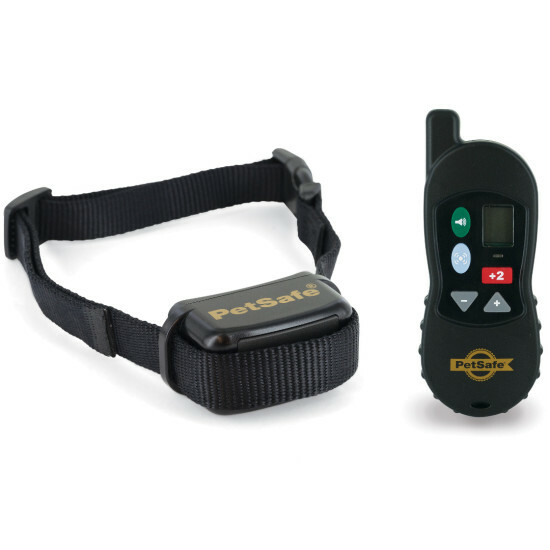 At the push of a button, your handheld remote sends a signal that causes your dog’s receiver collar to vibrate. The vibration safely and effectively gets your pet’s attention. The remote is easy to use with an advanced digital display that tells you exactly which level of vibration you're using. 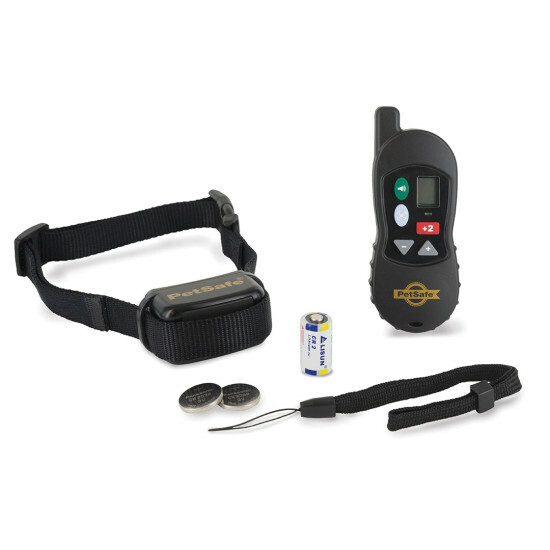 Choose from 16 levels of vibration stimulation to find just the right level for your dog. The random vibration pattern is especially great for training deaf dogs.